You’ve Voted and Maui Na Ka Oi (Maui Is the Best)! Maui is the best island in the world! Thursday, TripAdvisor released the results of this year’s poll asking users to vote on the world’s best island. And Maui, Hawaii is officially number one, beating out Santorini in Cyclades(#2), Jamaica (#3), and Providenciales in Turks and Caicos. To celebrate, I thought I would write a post focused on my favorite things about Maui — and I hope they convince you that TripAdvisor users were right, indeed! Maui Has Just the Right Amount of City vs. Country: When I think ahead about retirement, I often imagine myself retiring on Maui. Why? Because the island captures just the right balance between city conveniences and country charm. If you need a shopping fix, head to the “big” city of Kahului or Lahaina for some great retail stores. And you have dozens of world-class restaurants at your fingertips in resort-towns like Wailea, Princeville, or Kihei, not to mention all the great eateries in Wailuku or Kahului. But, when it’s time to move “off the grid,” just take a scenic drive through Maui’s upcountry, and you’ll feel a million miles away from the hustle and bustle. Some of the most quaint and memorable places on Maui are homegrown and local. 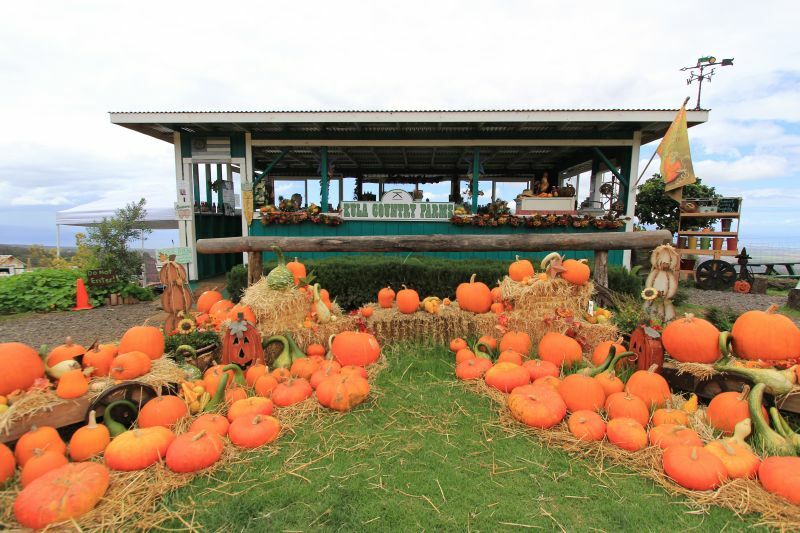 When you book a Maui Sightseeing Tour through Hawaii Aloha Travel, you'll have the opportunity to visit some of Maui's local farms. Haleakala Really IS Something To Behold: Maui’s crown jewel, Haleakala, really IS spectacular and just as majestic as the name implies. As you ascend the mountain, you’ll notice more than just a change in temperature — you’ll also notice a quiet serenity that’s hard to describe. Sure, there are usually lots of visitors to the summit, but it’s hard to feel crowded, as you look over the clouds. Enjoy looking at the silverswords and the wildlife that’s adapted to this severe climate. Then treat yourself to a bike ride down the crater! The Perfect Balance of Rainforest and Upcountry: Just as Maui strikes the perfect balance between city and county, the island also has the ideal ratio of rainforest to upcountry. Book a Maui Sightseeing Tour through Hawaii Aloha Travel, and you can get the experience the best of both worlds, including a trip to the Iao Needle and lush Iao Valley State Park, plus a ride through some of Maui’s old plantation towns and the town of Wailuku. On Maui, you can spend the morning hiking through a green rainforest and the afternoon riding horses through the dry upcountry — and the evening walking on the beach! Whales Whales Whales! : According to the Hawaii Tourism Authority, the waters off of West Maui and South Maui are shielded by the West Maui Mountains and Haleakala, creating calm and clear waters for high visibility. Humpback whales are also drawn to the area’s shallow waters, less than 600 feet deep, making Maui an ideal spot to start your voyage during the winter whale watching season from December to May. 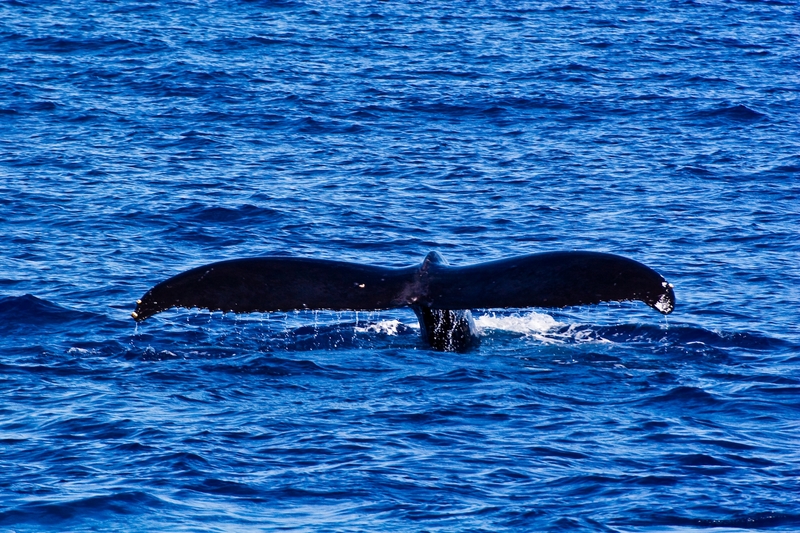 According to Maui Whale Watching, the most common road to see Humpback Whales breach and play from a distance is on the stretch of Highway 30 between Maalaea and Lahaina. According to the Hawaii Tourism Authority, the waters off of West Maui and South Maui are shielded by the West Maui Mountains and Haleakala, creating calm and clear waters for high visibility. Family Friendly, Yet Intensely Romantic: Before I had children, my husband and I used to escape to Maui to take advantage of the luxurious resorts Wailea (home to the Grand Wailea), and we thought there’s no more romantic location in the world… until we had children. Only then, did we realize how family-friendly Maui is, especially in Kaanapali. With its ocean-lined resorts and close-by shopping, families with children of all ages can always find something to do. Hang by the pool, surf the refreshing waves, or just lay on the beach. 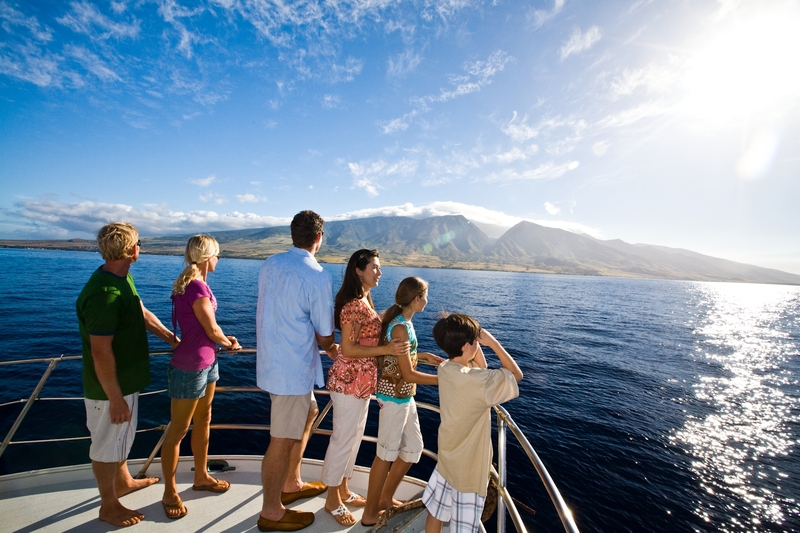 With or without a family, Maui, Hawaii is an extraordinary destination! Not only is Maui a great place for couples looking for a romantic getaway, it's also a great place for families to bond. Maui’s reign as TripAdvisor’s best island in the world only reminds me how amazing this island really is. In fact, I need to get on the phone with Hawaii Aloha Travel right now and book a trip!